The Atlanta area is known for having a lot of people moving in and out on a regular basis. Many of those transitioning here are families, who are doing so for career opportunities, education, or to make a fresh start. Moving is stressful for anyone, but especially so for small children. By preparing your children for your upcoming move, you can ease their anxieties and give them coping skills to deal with the change. Here are some tips for moving with children to make the process easier for the whole family. As you prepare for your move, it is easy to push your children away in the hustle and bustle. Instead of creating distance, work to include your children in the preparations. Kids love to feel included, and taking them through the steps helps them feel like part of the process. There are many tasks that a child can do to help with moving. Taping boxes, packing soft things like blankets and pillows, cleaning, and bringing you supplies are appropriate jobs for small kids who need to feel needed. Moving with children is an excellent opportunity to spend time together, discussing the move, telling stories, and enjoying one another. Visual cues are crucial for small children since concepts like days or weeks are too abstract for them to grasp. As part of your moving preparations, create a visual countdown of the days until your move. You could create a calendar to cross off days, a paper chain to tear off links, or even a row of balloons to pop. Any way you decide to do it, a visual picture of the time remaining before the move will help your child grasp the coming event. If possible, leave your child’s room until the last few days of packing. An empty room and boxes of their things can be distressing to young children. When you arrive at your new home, make unpacking your child’s room a priority. In fact, if you can at least set up their bed and other furniture before sleeping that night, it will be a great gift to your child. The sooner their things are in place in your new home, the sooner your child will feel at peace and comfortable there. 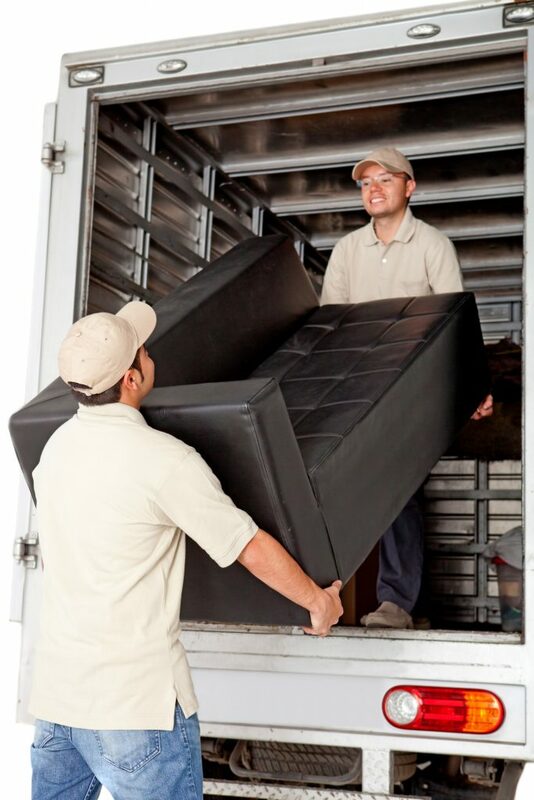 Expect to be discussing your move frequently in the weeks leading up to your moving day. Moving with children means many more questions, worries, and changes. Your child may like to draw pictures of your new house and your old one. They may ask you to tell stories about special times in your current house or speculate about how your new home will be different. Encourage your children to play pretend about the move. Take turns being the movers and your family members, driving the truck, loading and unloading boxes, and setting up your new home. Additionally, there are many books for children about moving. The classic children’s series The Berenstain Bears and Little Critter by Mercer Meyer both have books about moves and all the big feelings that come with them. For adults, we begin to separate from our current home and neighborhood as soon as we know we are moving. Your children do not think the same way and may have trouble leaving when it is time. It will help your child if you take a few moments to walk around your house and neighborhood and say goodbye to the significant people and places in your lives. The closure of this act will help your child feel secure in moving forward. Moving with children is an opportunity to connect with them and see them grow. Children are powerfully resilient and capable. Assisting them with marking the time, being helpful, and transitioning well ensures a peaceful adjustment to your new home. If you are moving to the Gwinnett County area and are looking for childcare, consider Legacy Academy Suwanee. We take great pride in the quality and thoughtfulness of our care.